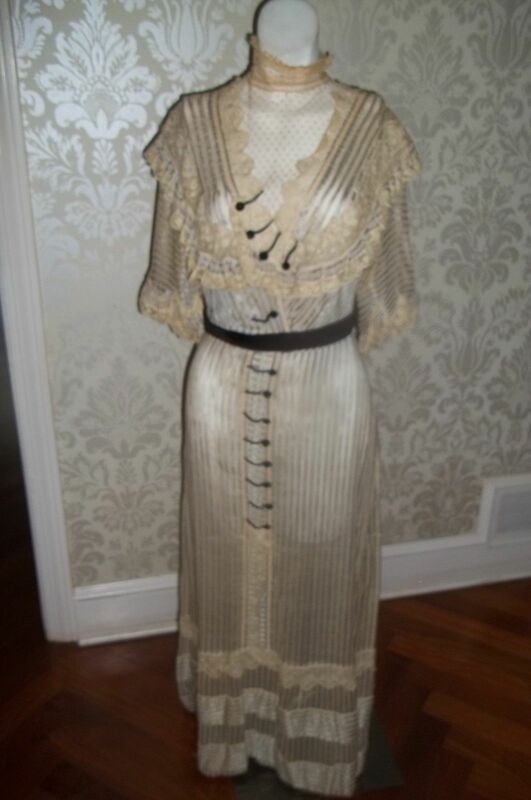 Pale Blue and Cream Color Stripe with Delicate Lace and Velveteen Details down the front and at waist and back. I hope everyone has a wonderfully Merry Christmas, Happy Hanukkah, and a Happy New Year! 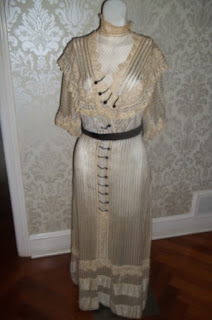 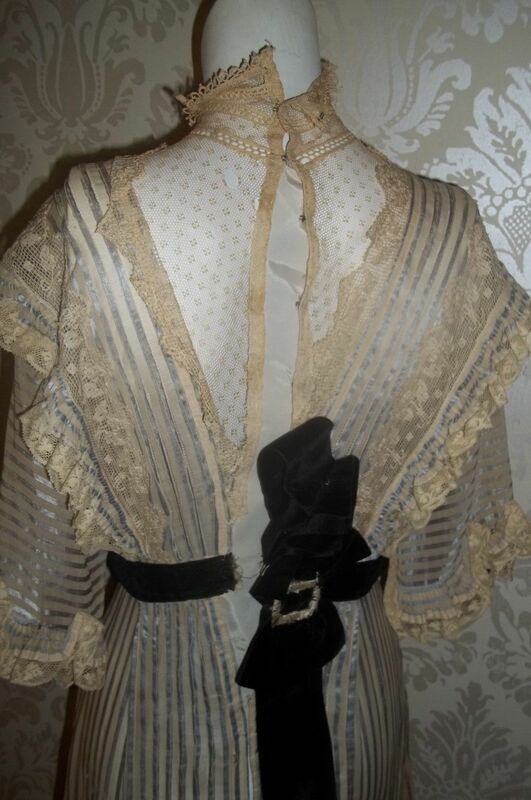 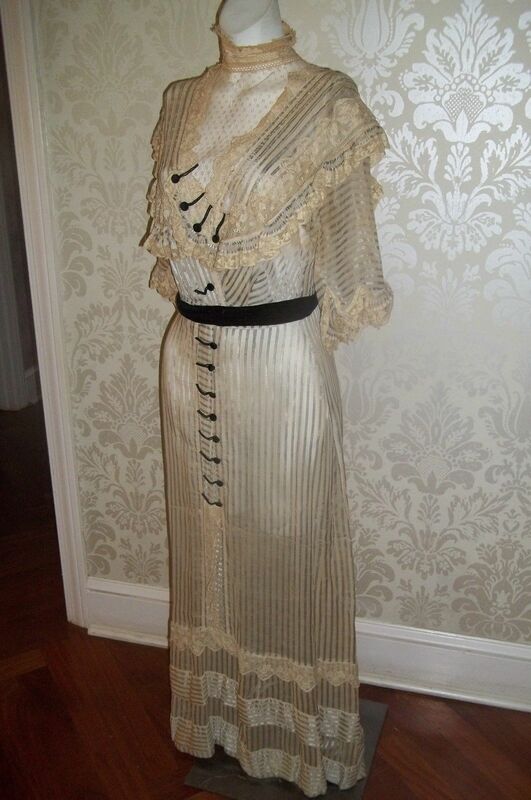 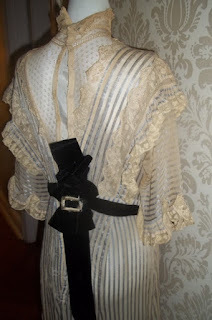 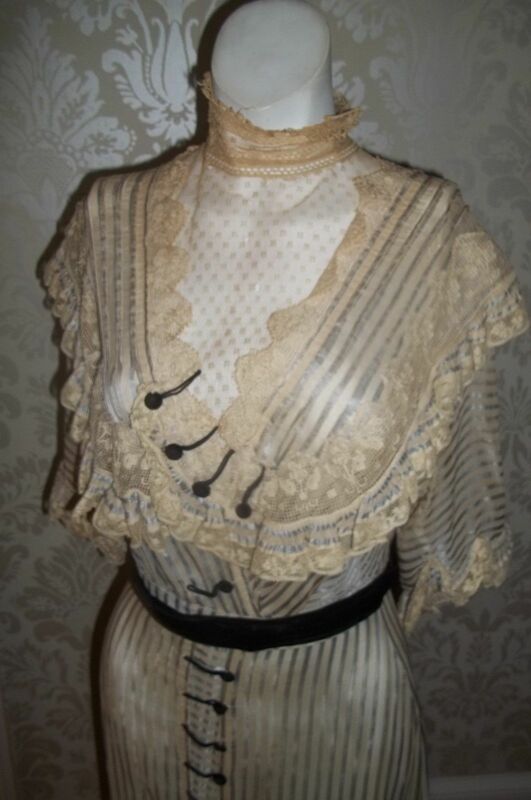 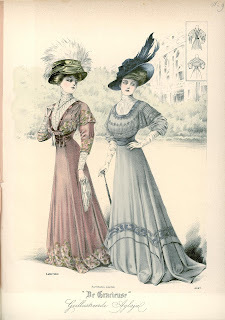 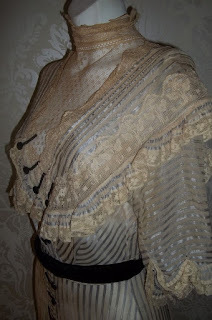 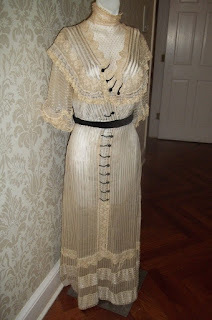 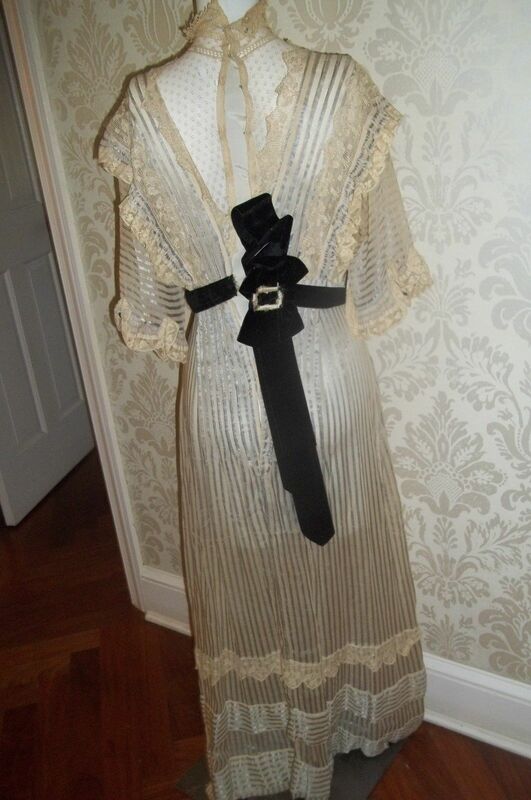 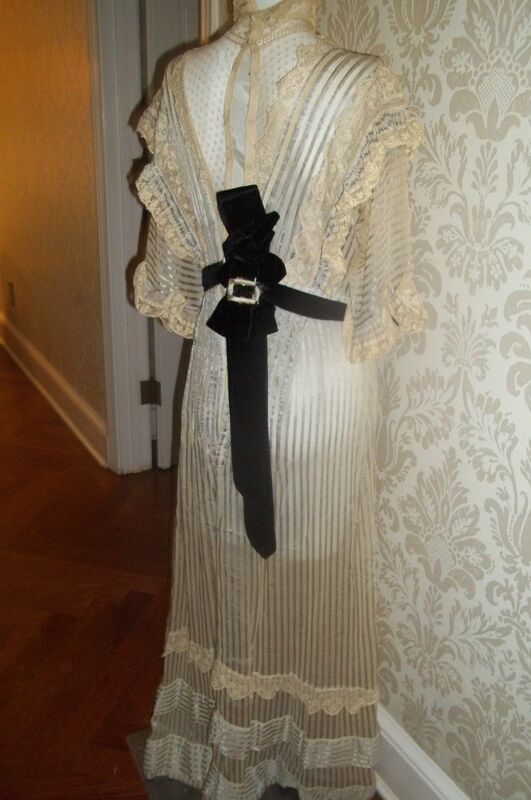 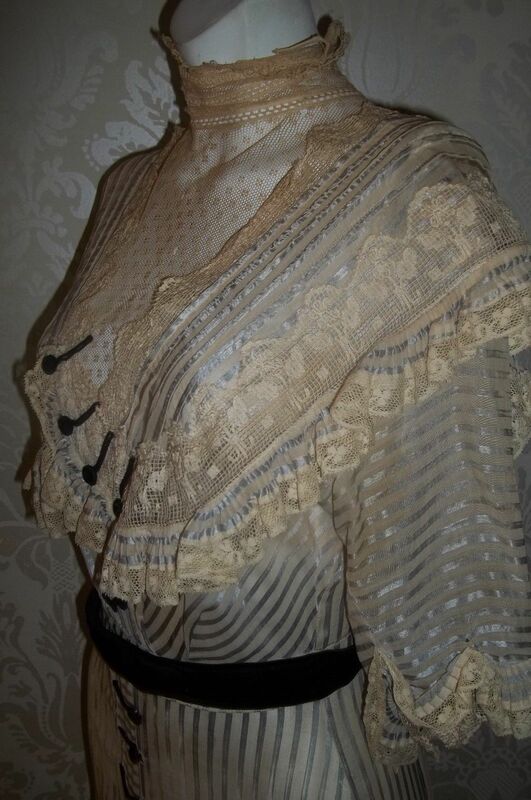 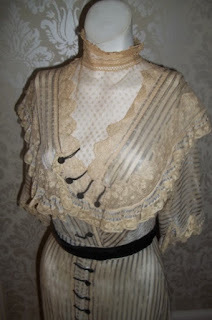 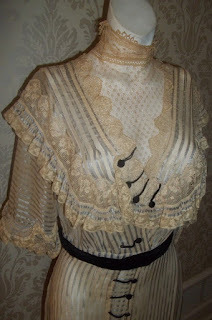 This dress and the next one I will post have very similar looks but some key differences - this one is from an earlier time period and has stripes!